Renting someone else’s flat for a night or two is increasingly becoming popular among travellers and the internet offers endless of options. Fancy a treehouse in the middle of the woods in Atlanta, Georgia or a cozy flat in Montmartre, Paris? How about staying for a couple of days in a penthouse in Dubai with a view of Burj Khalifa and the dancing fountain? Unfortunately, many of these private dwellings don’t come cheap and if you’ve set your eyes on a plush loft with a private pool in the emirate, expect to pay more than you would at a hotel or in other destinations. A new study has crunched the numbers to find out the costliest cities to rent a holiday apartment listed on Airbnb, a popular home-sharing site, and Dubai came in the top ten. The Bloomberg World Airbnb Cost Index, which looks at the average cost of private lodging per night in major cities worldwide, showed that Dubai is the fifth-most expensive city in the world for travellers to rent a flat. At $185 per night, short-term rentals in Dubai are pricier than in New York, Los Angeles, Amsterdam, London or Sydney Australia. Other Middle East cities, such as Riyadh and Kuwait are also near the top, at the 11th and 15th place, respectively. According to the Bloomberg index, holiday home rentals in Dubai and other Middle Eastern cities are among the costliest globally due to a combination of high hotel and apartment costs, as well as strong tourism. Most of the hotel rooms in Dubai alone, about 70 per cent, are said to be four-star or above. Dubai has also stepped up its drive in terms of attracting more tourists. 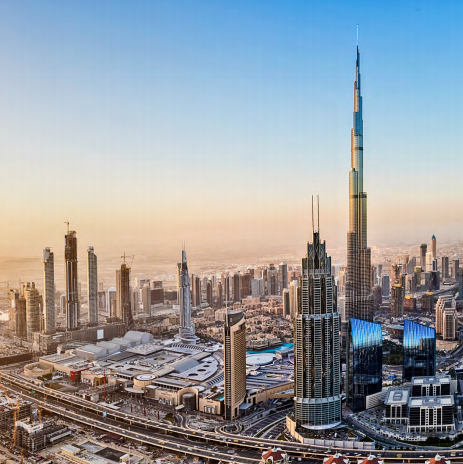 In 2017 alone, a record-breaking number of international travellers flew into the emirate, with South Asia emerging as the number one source of visitor traffic. According to a report by Chestertons, Airbnb rates in Dubai spiked to $226 in January 2017, higher than the average rates recorded in the summer months: $154 in August 2016 and August 2017. The report also noted that the Airbnb concept is complementing the offering within the emirate by providing an alternative travel experience, adding that private accommodations are particularly appealing to millennials. As of August 2017, Dubai has 3,249 holiday homes listed on Airbnb, up 161 per cent from 1,241 units in August 2015.